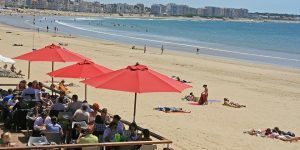 The Vendee is renowned for its mild spring climate, and warm sea temperatures, making May & June the perfect time to visit if you have young children, or if you prefer to sight-see (and sunbathe) sans enfants. Unlike the summer months of July & August, most attractions aren’t open daily as well as during lunchtime hours, but often aren’t as busy or hot! 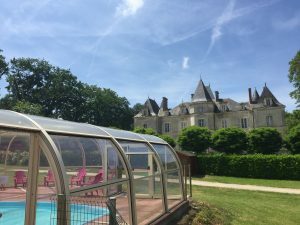 Travelling to France out of peak season can be much cheaper, with overnight ferries from Portsmouth to Le Havre from as little as £75, and flights to La Rochelle starting from £15. Driving in France, in May & June is often much faster compared with the summer months, as motorways tend to be free from much traffic. It’s usually only on the major city’s peripherique that you may encounter traffic, but it’s nothing compared to the traffic that we encounter on our motorways…on a daily basis! The 2nd week of July heralds the start of the French summer holidays and of course the 14th of July- Bastille Day. It’s wise not to travel between the 13th& 15th July, or expect long delays! If you do happen to be in France for Bastille Day, most towns and even villages celebrate with fantastic fireworks displays that mustn’t be missed. The summer season brings new life to once sleepy towns, with night markets often taking place on a weekly basis, including the nearby towns of Olonne sur Mer and Saint-Gilles. 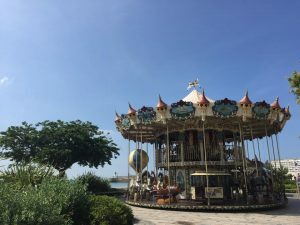 Les Sables d’ Olonne takes on new vigour in the evenings, with the promenade turning into a pedestrian only thoroughfare with magicians, artists and dancers entertaining passers-by. In addition, the town of Challans, famed for the number of Michelin Starred restaurants, transforms into a living 19th Century town every other Thursday in July & August, where locals dress in traditional costume, horse drawn carriages take tourists through the streets, and artisans demonstrate ancient crafts including ironmongery and woodwork. 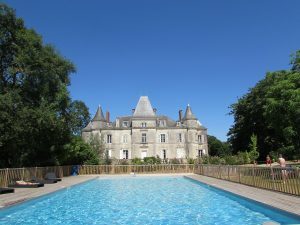 During low season, Chateau la Foret retains its sleepy charm, compared with July & August when the park get a breath of new life, with children (and adults) taking part in the on-site activities, including aqua-aerobics, tennis tournaments, and cooking classes, as well as the nightly entertainment in the courtyard. Don’t worry too much about the noise from karaoke, thanks to our chalets being located in the old orchard you won’t be kept awake by renditions of ‘I will survive’!